This image is not Photoshopped. 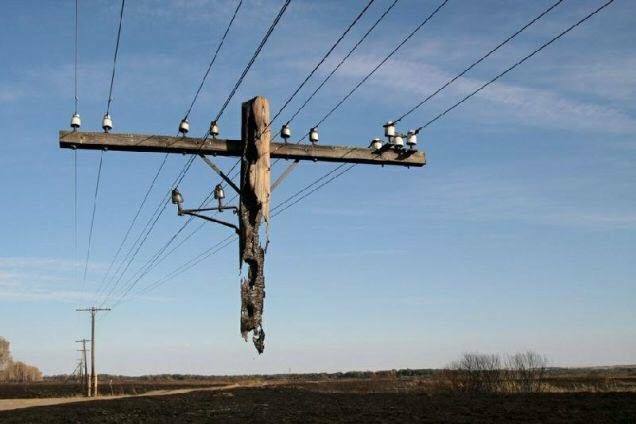 The base of this utility pole rotted away, but it is supported by the poles on either side of it. This is a good image of the church. When we feel like life has been kicked out from under us, other Christians are there supporting us. In Christ, we are in this together. Two are better than one, because they have a good return for their labor: If either of them falls down, one can help the other up (Ecc. 4:9-10). Carry each other’s burdens, and in this way you will fulfill the law of Christ (Gal. 6:2). I’m using this in my SS lesson this Sunday. 1 Samuel 30. I enjoy all your blog posts, but every now and then, I have to share one on Facebook or with my class. Thanks! May I borrow your picture? It fits me at the stage in my life. I replied to your tweet with my response. Thanks for this today. Mark, that photo is not original with me, so I do not have permission to grant or deny your use of it. It is quite abundant on the Internet, and I can’t tag the original source. I am glad the photo and blog are encouraging in this stage of life. God bless.